Extracurricular Activities : Dance, Music and Sports. Taking part in local competitions. 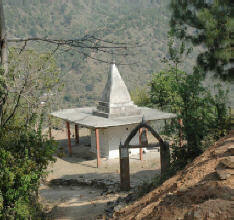 This place is located on the slope of a beautiful mountain of Garhwal and surrounded by agricultural fields. 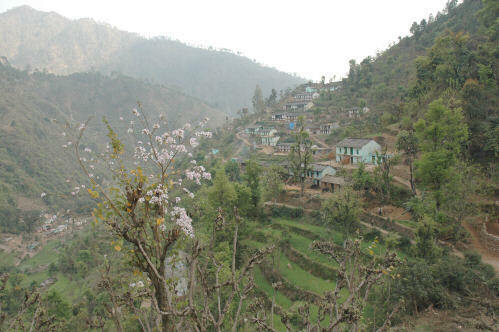 It takes 1�� hours drive from Dangchaura on a difficult mountain track to reach there. The route to this School is full of Temples dedicated to different Deities. This is really a calm, cool and divine place. The climate of this area is very healthy. The School is situated in the middle of terrace fields. The village is composed of sparse houses between the fields. This School was set up by some energetic and educated people of Jakhi-Gavana to provide Basic Education to the children of the village and nearby areas. Children are coming from 4 villages, in a radius of 2 km, on foot. In this School they are morally and spiritually trained besides their curriculum. The Management and Teaching Staff of the school is very sincere and dedicated.